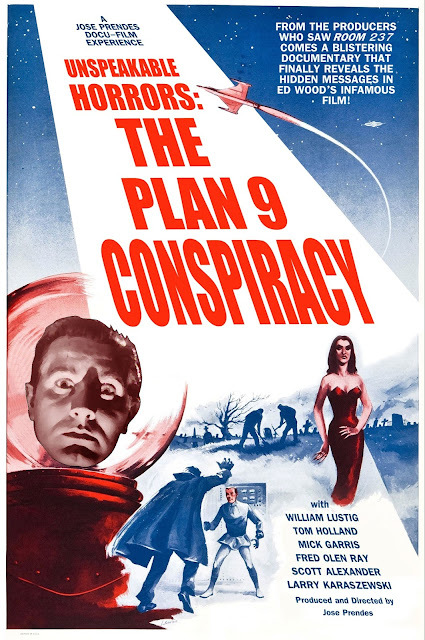 For decades, Ed Wood’s PLAN 9 FROM OUTER SPACE has been unfairly maligned as the worst, most incompetent, and utterly stupid movie ever made, but now it’s time to set the record straight. The blistering truth is here in UNSPEAKABLE HORRORS: THE PLAN 9 CONSPIRACY from Magick Lantern Industries and writer/director Jose Prendes (The Haunting of Whaley House, The Divine Tragedies). The documentary will focus on revealing the hidden messages that Ed buried in his alleged B-movie, and will feature interviews with Hollywood’s best genre filmmakers like Joe Dante (Gremlins), Mick Garris (The Stand), Scott Alexander and Larry Karaszewski (Ed Wood), and many, many more who were willing to go on the record and finally bring to light the truth behind the New World Order’s plans to tear down Edward D. Wood Jr. Stay tuned for festival screening announcements. Go LIKE them on Facebook here.